Bill Shankly — who became one of the most successful football managers of all-time whilst in charge of Liverpool in the 1960s and 70s — once said, “Some people believe football is a matter of life and death. I am very disappointed with that attitude. I can assure you it is much, much more important than that”. For countless fans around the world, that comment rings true; their sports team is one of the beloved and important things in their lives. The on-going quest to keep abreast of scores, news, and gossip is often akin to a full-time job, requiring supporters to maintain a fine balance between devotion to their careers, social lives, families and sports teams. We want to make that job a little less burdensome for you. 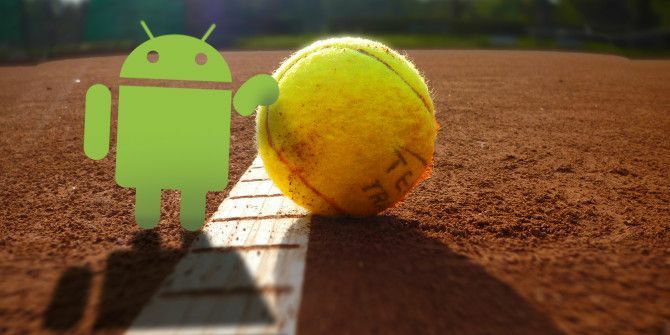 Read on for our eight Android apps that every sports lover needs. Sports Republic is arguably the best multi-sports news app in the Google Play store. In its simplest terms it’s a news aggregator, but it does so much more than that. It covers just about every sport imaginable, from the four predominant North American sports to netball, hockey, and athletics. If you don’t see your preferred sport listed on the main page, you can do a search to add it. For example, a search for the relatively obscure Gaelic football (played almost exclusively in Ireland) returns sections for both news about the sport and for the governing body. The home screen works in a similar way to that of the much-maligned Windows 8 live tiles, but don’t let that put you off. The sections you are interested can be moved, resized and featured, meaning the content you are most interested in will always be displayed prominently. The app also learns more about your preferences the more you use it, thus giving you better recommendations for articles you’ll be interested in. 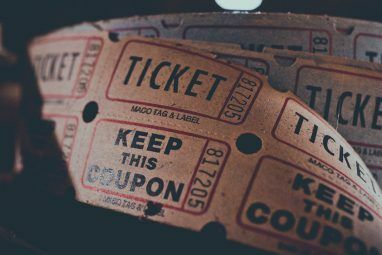 You can choose the content providers that you like the most, whilst blocking those which you feel aren’t enjoyable reads, and you can also add RSS feeds from the sites you use most often. Finally, the app has a feature for saving articles to read offline Take Your Reading Offline With These 5 Chrome Apps Take Your Reading Offline With These 5 Chrome Apps Thanks to Chrome's offline apps, you don't need to rely on the Internet to catch up on your e-reading. Read More , meaning you can always be certain you’ll have something to read if you’re on a train or long car journey where signal could be patchy. These two apps are the de-facto market leaders in sports apps in the UK. A spin-off of the 24/7 SkySports News television channel, the news app covers football, cricket, rugby union, rugby league, golf, tennis, Formula One, and boxing. The score centre is a football-dedicated app which covers the top ten leagues in England, along with most European leagues and even some non-European leagues. 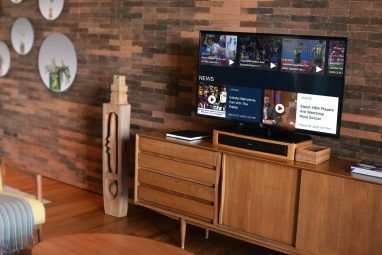 Both apps include video highlights of matches, interviews, and analysis, while the news app also lets you watch SkySports 1, 2, 3, 4, 5, News, and F1 via the app if you are a subscriber. The score centre lets you check fixtures, results, and league tables, and even allows you to set three favourite teams whose data will displayed on the homepage when you open the app. These apps are only available in the UK on Google Play, but you can use a third-party website to find the APK installer file easily enough. If you’re a football lover outside the UK, and comfortable with installing APK files How to Manually Install or Sideload Apps on Android How to Manually Install or Sideload Apps on Android Want to sideload apps on your Android phone? Installing APKs manually on Android opens up a whole new world of apps, and it's easy to do. Read More , it’s really worth grabbing these apps. Not all sports are designed to be watched – some are considerably more enjoyable when you’re the participant. One sport where this is especially true is skiing. While the Winter Olympics is always an enjoyable television event (and has its own host of apps to accompany it How To Stay Updated On The 2014 Sochi Winter Olympics How To Stay Updated On The 2014 Sochi Winter Olympics The Sochi 2014 Winter Olympics are almost here! Using the following apps and news feeds, you'll be able to keep up with the action as it happens. Read More ), skiing is mostly a forgotten sport by the casual viewer. Ski Tracks is one of a new generation of apps that uses your phone to provide detailed feedback to the user. By recording your location by GPS, the app gives you comprehensive stats and graphs about your day in the mountains. You can analyse individual ski runs and chair lifts, learn about your top speeds, and track your route of the course of a day. The best thing — it doesn’t even need a phone signal to operate. The official NFL app is a work of art — with breaking news, in-game highlights, live game scores, customised team news, and fantasy football management. If you’re a busy person, though, and always on the go, you might want a more in-your-face update about the progress of your side. NFL Live Wallpaper is the answer. Aside from a home screen which gives you countdowns, score updates, and weather information, the app also boasts SMS and Gmail alerts, team-specific ringtones, address book avatars, and an assortment of animations. 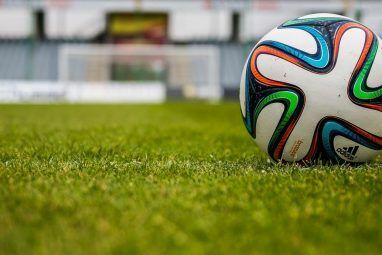 A staple app for soccer fans, what is often overlooked are the other sports that it covers, namely tennis, cricket, ice hockey, and basketball. The app does a great job of covering these sports on a global basis. For example, ice hockey’s latest scores don’t only include the NHL, but also the KHL and lower-level leagues from Russia, Sweden, Germany, Finland, and the Czech Republic. The same applies for the other sports. The cricket app includes updates from the obscure Saudi Arabian cricket league, and the basketball section covers all European league as well as the NCAA. Although it lacks a way to specify your favourite teams and sports, more features and more sports are sure to be added in due course. Thuuz Sports has one unique feature that makes it a worthy entrant on this list: rating upcoming and ongoing games on an excitement scale of 0-100. It means you’ll never miss the defining moments of your sport of choice. As with a lot of these apps, you can follow your favourite teams and leagues from a variety of sports, and can receive notifications of upcoming games and important in-game events. Interestingly for fans of baseball (specifically the MLB), you can import your fantasy teams into the app and monitor them via the feed. This feature also applies to NFL Fantasy Football teams. Popularity of soccer in the US is exploding. The domestic league, the MLS, is now drawing better stadium attendances than both the NBA and the NHL. The league’s official app — MLS Matchday — exploits this new found popularity. It comes loaded with latest news, highlights, scores, and analysis, but also offers ability to watch games live if you have an MLS Live subscription. For those that are new to the sport and want to learn something about the MLS’ history, the app also has four years of highlights and archived matches for you to catch up on. Did we miss any apps? We’d love to hear from you about which apps you think are vital additions to any sports lover’s repertoire. What about any sport-specific apps that we overlooked? Let us know in the comments below. FantasyFist - its a awesome app for cricket lovers, who would like to stay connected with global cricket lovers by participating fantasy cricket. One of its kind auction based fantasy cricket. For the football diehard, Forza is one of the most complete apps for scores and stats. Hands down the best app to follow football (the real one). Cricbuzz. The best to keep yourself updated with cricket. Hey Ankit - we covered the Windows version of Cricbuzz in the past, that's we didn't cover it again. Great app though! For live scores I've found 365Scores to be the most reliable and up to date. And, for the big games, there are usually video clips of the goals available within a few minutes plus 2-3 min highlight packages within 10 minutes of the final whistle. I personally use Flashscore.. its a great app to keep in touch with the latest scores in any sports..
Apps for soccer lovers or sports lovers? NBC Sports app and trade rumors are the two most informative for American sports. They are available for use outside the US and UK and available in the Play Store. What sports-specific apps did you overlook? How about...ALL of them? That is easily the WORST "apps that every ______ lover needs" I have ever seen. A British sports app, two soccer ones, and a ski report? Are you serious with this list? I don't a single person who would download even one of these apps. Your choices apply to the smallest niche possible. Holy coe...I'm still shaking my head at this list. This article was intended to give readers some alternative, less mainstream apps to consider. We've covered the ones you mention in detail in previous articles. I do agree with you though, they're great apps. I think you left out one that does most of what about 4 of these apps do all in one. "The Score" Has top news, Hot Games, MLB Baseball, NFL, NCAA football and Basketball, NBA, NHL, NASCAR, PGA, Tennis, Soccer from Mexico,England, Spain, Germany. This is all done at the tip of your finger from the top left menu choice. When you find a game you like you can select it then it will do play-by-play... This does to many things not to be on the list... And you can move the most part of this app to your SD card and save space for other apps. Hey Andy, thanks for the tip. I've not used that one before, but I'll be sure to look into it. The Score is another great app!